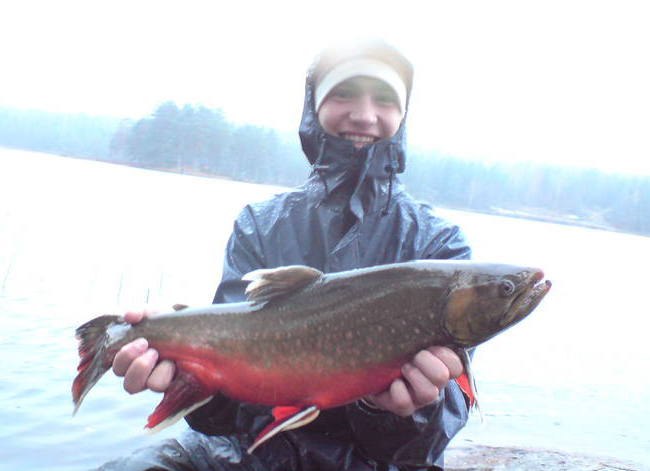 Say hello to Johan Egerhäll, a 17-teen year old youngster who is finishing off his second year studying sport fishing at the well renowned Forshaga Academy in Värmland, Sweden. A five weeklong internship is part of his education and since Johan is of the adventurous type he choose to go to one of the most remotely placed fly-fishing lodges on earth. The Wolf Lake Lodge in the Yukon Territory, Canada – a place truly in the middle of nowhere. (The only way to get there is by air). Johan´s passion is fly-fishing for trout and grayling but he´s not picky; the odd pike and jig fishing for big Perch rocks his boat as well. His biggest dream is to work within the fly fishing industry in some shape or form and at Guideline we are thrilled to be able to help paving his path. You can follow his adventures with the flyrod here on the blog and on our Facebook page. Check out where he´s going on www.wolflake.ca and check in frequently to be sure to follow his adventure. Previous ANTS IN THE AIR!